The Metris Collection takes outstanding comfort and minimalist design to another level. Metris faucets give you more freedom of movement to meet your demands with a modern style that blends with any situation. 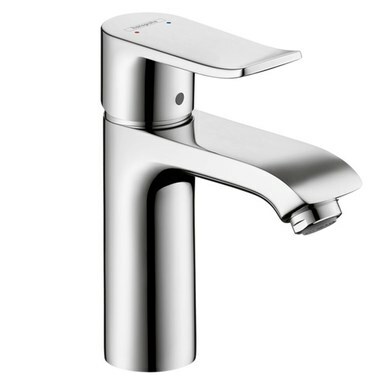 This single-handle Metris 110 low-flow bathroom faucet uses only 1.0 gallons per minute to conserve water. Measures 8" high overall (with handle raised) with a 4-5/8" spout reach. The faucet mounts in single-hole applications in decks up to 1-5/8" thick.